Katelyn Holbrook, with Integrity Gaming, practices dealing cards to Rustin Martin, also with Integrity, at the Oklahoma Indian Gaming Association’s annual conference in Oklahoma City. 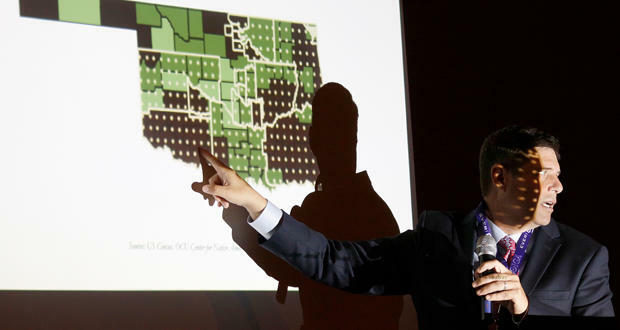 Oklahoma’s tribes will be in unfamiliar territory in January 2020: Gaming compacts between the tribes and the state could end at that time. The Journal Record’s Molly Fleming writes the compacts contain an evergreen clause, which means the compacts could continue without changing anything. However, altering the compacts is difficult because there is no way to amend them. If the tribes or the state want to change anything, they would need to go back into negotiations. Chickasaw Nation General Counsel Stephen Greetham was in the panel’s audience. He said there are state elected officials who do not understand how the compacts work, and those leaders seem to think the compacts will be a blank slate in January 2020. He said he recalled a legislator this past session saying he would support wells and pipes, not wheels and dice. But the Legislature may not see any compact negotiation, because the agreements could continue as they are, especially if there’s no benefit to the tribe. Fleming said any negotiations would be between the governor and the tribes. “This is not a legislative decision. This is something that happens from government to government. And since the tribes are separate nations, they will negotiate with the governor that's in place at the time,” Fleming told KGOU. “They [the state] will likely ask to increase the exclusivity fees so the tribes will have to pay more money for their operations. There's also talk that the state would want a termination clause which would eliminate the arbitration that's in place now. This would mean that if the tribes were using that against the compact then the state could just eliminate the compact instead of going to legal arbitration which creates kind of a hostile environment,” Fleming said. But attorney William Norman told Fleming that if the state wants an increase in the exclusivity fee, the tribe would need to acquire something meaningful or substantial in return, under the federal Indian Gaming Regulatory Act. Another topic of discussion was the need for casinos in Oklahoma to remain competitive with neighboring states. Texas currently does not permit casinos, but if that were to change, it would have a big impact on Chickasaw and Choctaw casinos in south-central and southeastern Oklahoma. 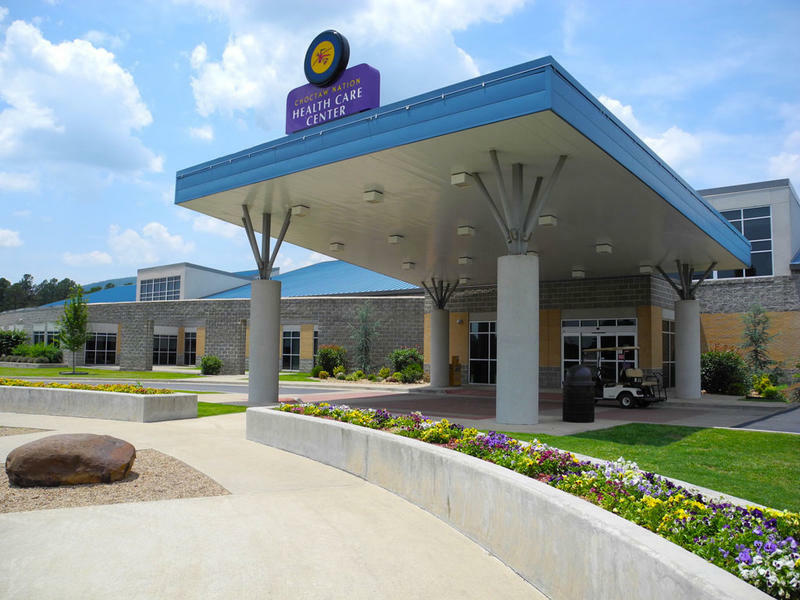 “There's a lot of talk of how do we maintain that competitive advantage which would mean possibly adding more games to tribal operations,” Fleming said. 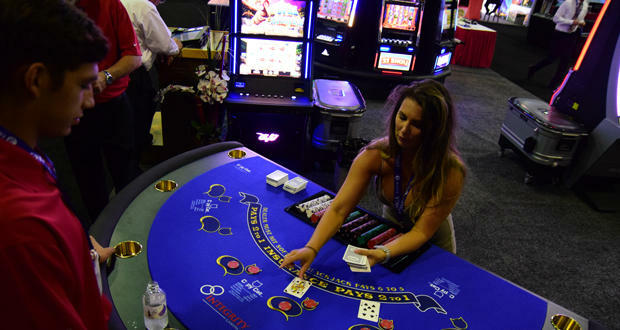 Adding some games, like roulette and dice games, would require legislative action. A bill that would have legalized these games failed in the legislature during the 2017 session. “People should expect to see a bill about this when the legislature reconvenes in 2018,” Fleming said. Jacob McCleland: Molly, you spent a couple of days at the convention in Oklahoma City earlier this week. What were the big messages that you were hearing? Molly Fleming: Well there's a whirlwind of changes happening you know with President Trump taking office. He gets to put new people and the federal departments which he's done with the Department of Interior. But he also moved people around in the Bureau of Indian Affairs. Having no leader right now in the Bureau of Indian Affairs is a big deal to Indian country and people want to know when somebody will be put into that office. 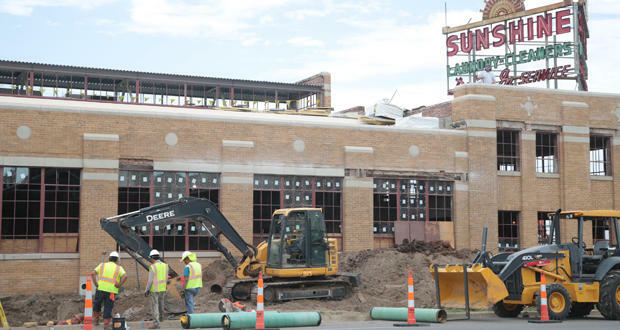 Also happening is in January 2020, Oklahoma's gaming compacts could expire. So in the next couple of years, we're going to see some discussion on that. And then in November 2018, Oklahoma will elect a new governor. So there's a lot of shifting sands right now. McCleland: Now I want to talk about one of your articles this week in particular. This one is about the tribal gaming compacts and the Compaq's could end in 2020 or maybe not because there's something called the "evergreen clause." I mean, what exactly does this mean? Fleming: That means the compacts could continue without anyone touching them. If everybody is pleased, I mean, as in the tribes and the state of Oklahoma then everything stays the same and we continue forward. McCleland: So if the tribes or the state do want to make some changes to the compacts, what do they have to do? Fleming: That's the big question. I talked to some attorneys about this and there seems to be a lot of undecisiveness about what goes forward. And there's no amendment clause. This is the first time that Oklahoma has ever had to negotiate the compacts. You know last time we just set them up, so there's a lot of new territory here for people to explore. The important part about this though is that this can only be negotiated between the tribes and Governor Fallin or whoever the governor that's in place at the time. This is not a legislative decision. This is something that happens from government to government. And since the tribes are separate nations, they will negotiate with the governor that's in place at the time. McCleland: So from what you gathered at the convention, is there a big push to make some changes to the compacts? Fleming: Yeah there's talk that the state will likely ask for more money, inclusive. They will likely ask to increase the exclusivity fees so the tribes will have to pay more money for their operations. There's also talk that the state would want a termination clause which would eliminate the arbitration that's in place now. This would mean that if the tribes were using that against the compact then the state could just eliminate the compact instead of going to legal arbitration which creates kind of a hostile environment. One of the attorneys said at a session that was that because then the state can kind of hold that over their head the whole time and watch and monitor them and wait for the chance to break that compact. And if anything were to change the tribes have to get a meaningful and substantial change in their return as well. That's a federal definition, and that they then from the Indian Gaming Regulatory Act requires that the tribes also get something meaningful or substantial if the state wants something as well. Fleming: Did you hear any concerns at the convention about maintaining a competitive advantage over over neighboring states states who may or may not allow allow gambling right now? Fleming: Absolutely. I mean nobody knows what's going to happen in the years down the road. This past year Arkansas tried to get gambling. The Cherokee Nation put a lot of money into that campaign. The Quapaws have land in Arkansas. Texas could have a change from heart which would affect a lot of Chickasaw and Choctaw operations in southeast and south central Oklahoma. So there's a lot of talk of how do we maintain that competitive advantage which would mean possibly adding more games to tribal operations. McCleland: Well talking about more games, games like roulette and dice games aren't permitted today. I mean, what would it take to add those types of games to casinos? Fleming: So they would have to be made lawful. So when the tribes were to, if they wanted to add those games they obviously can't add games to their compacts that are illegal. So the legislature would have to recognize that those games are lawful, you know, through a bill and go through the regular process. They attempted that last session. It didn't go through. There was a legislator that actually said he would support oil and gas and not wheels and dice. That was just very upsetting to tribal nations. So people should expect to see a bill about this when the legislature reconvenes in 2018. McCleland: Molly Fleming is a reporter with The Journal Record newspaper. Molly thank you so much. Fleming: Hey thanks for chatting with me. 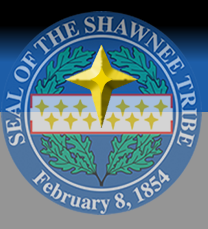 The Shawnee Tribe has announced plans to build a casino in the state's Panhandle. 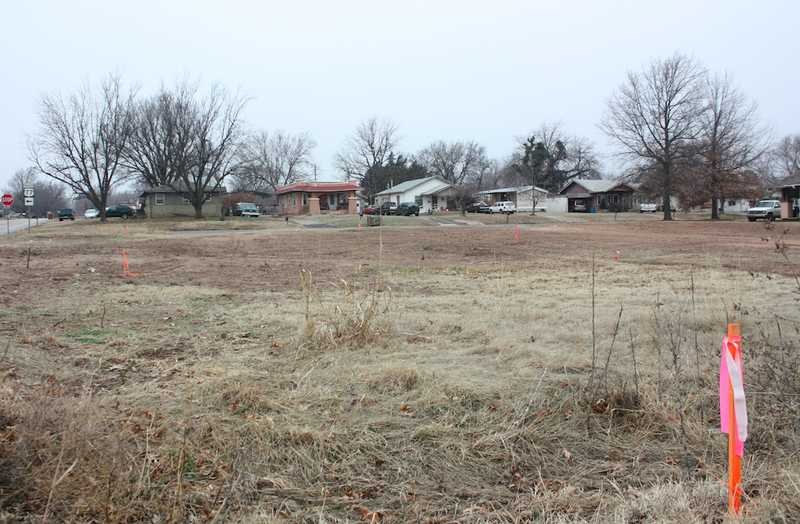 The Tulsa World reports the 60,000 square-foot Golden Mesa Casino would be located near Guymon on a 107-acre property off Highway 54. Tribal officials say construction will begin in 2016 and would create 175 jobs with an estimated payroll of about $4 million. The house, crouching in the middle of a neighborhood in east Perry, sat unoccupied for years.